Live the American Dream and emulate Peter Fonda in what is perhaps his most famous role as Wyatt in the 1969 road movie Easy Rider. 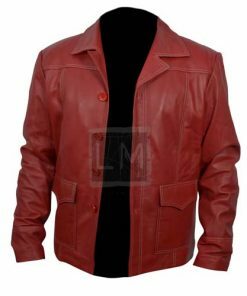 Fonda also produced the film and wrote it in collaboration with Terry Southern and his co-star Dennis Hopper, who directed it. Easy Rider is a highly acclaimed, landmark piece of filmmaking that tells the tale of Wyatt (Fonda) and Billy (Hopper), two bikers who hit the road on their choppers and travel through the South and Southwest of America. 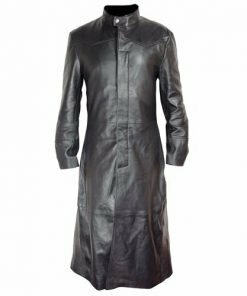 This story of life on the open road in the 1960’s became the symbol of freedom and counterculture for an entire generation. 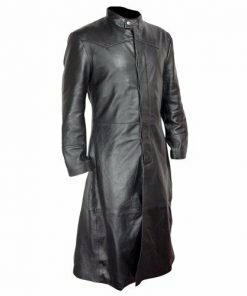 Exploring such topics as the rise and fall of the hippie movement, the tensions and issues of the day, a communal lifestyle – and not to forget a fair amount of drug taking. 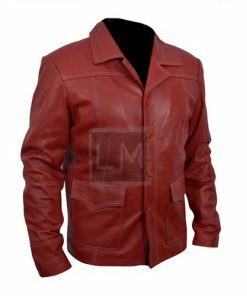 In fact Easy Rider is a cult favorite and is famous for using real drugs in the scenes where the actors are seen using marijuana and other substances. 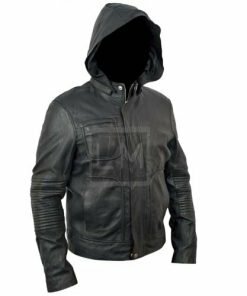 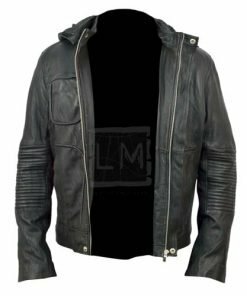 If you’re a fan of this cult classic and want to own a symbol of rebellion you can’t go wrong with this genuine leather jacket which was inspired by the one that Peter Fonda wore in the film. 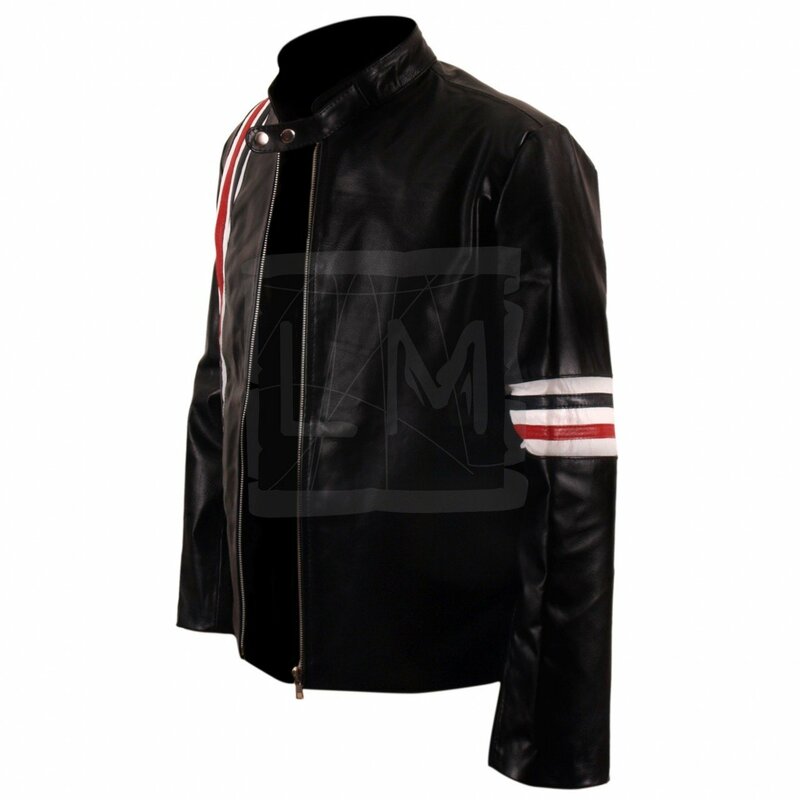 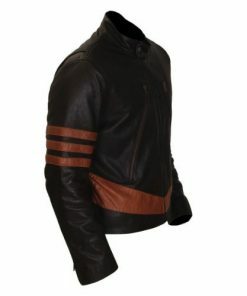 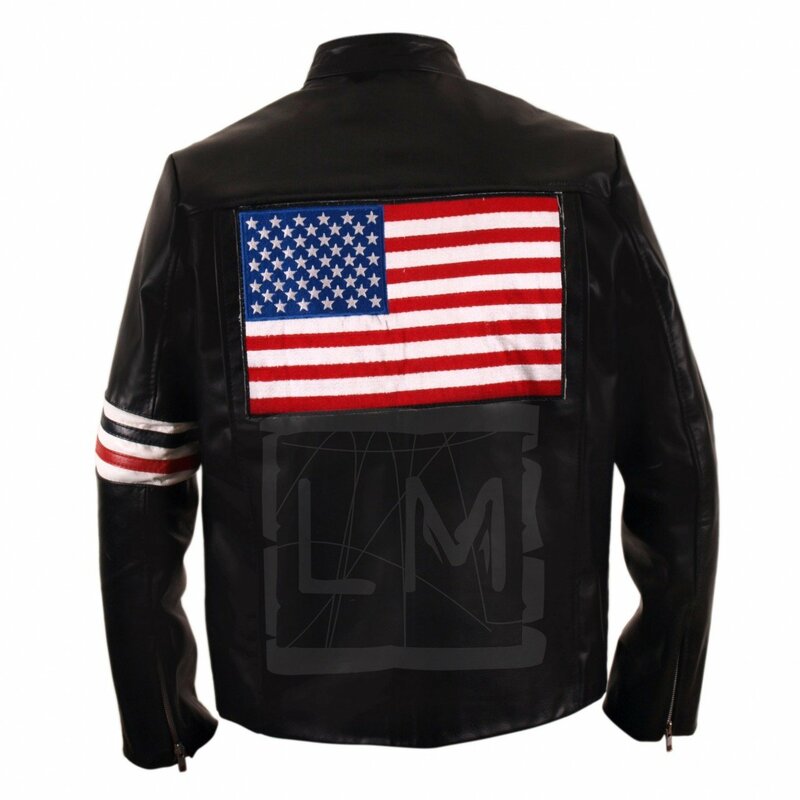 Made from long lasting cow hide leather, the Captain America Easy Rider Jacket is one of our most popular motorbike leather jackets thanks to its stylish red, white and black arms and chest stripes, zipper cuffs, round collar with two snap on buttons and of course the Stars and Stripes American flag on the back. 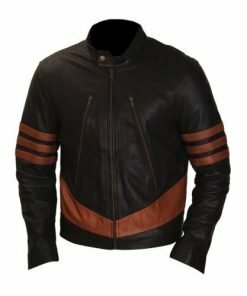 All of our leather jackets and coats and all of our biker leather jackets are double stitched for longevity and all of them use high grade YKK zippers. 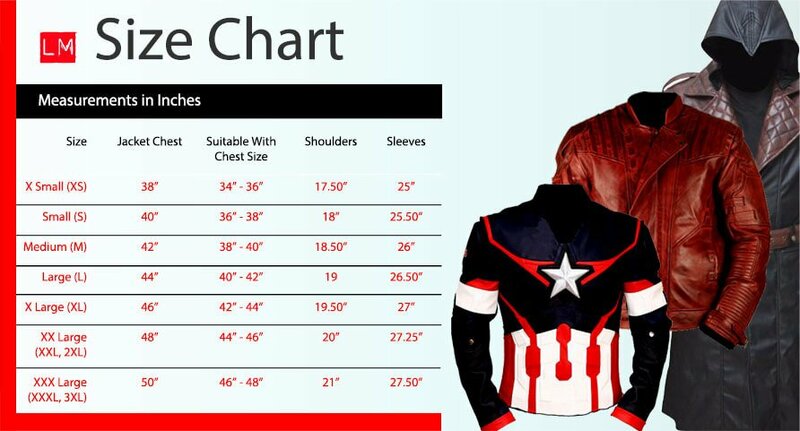 Custom sizing is available. 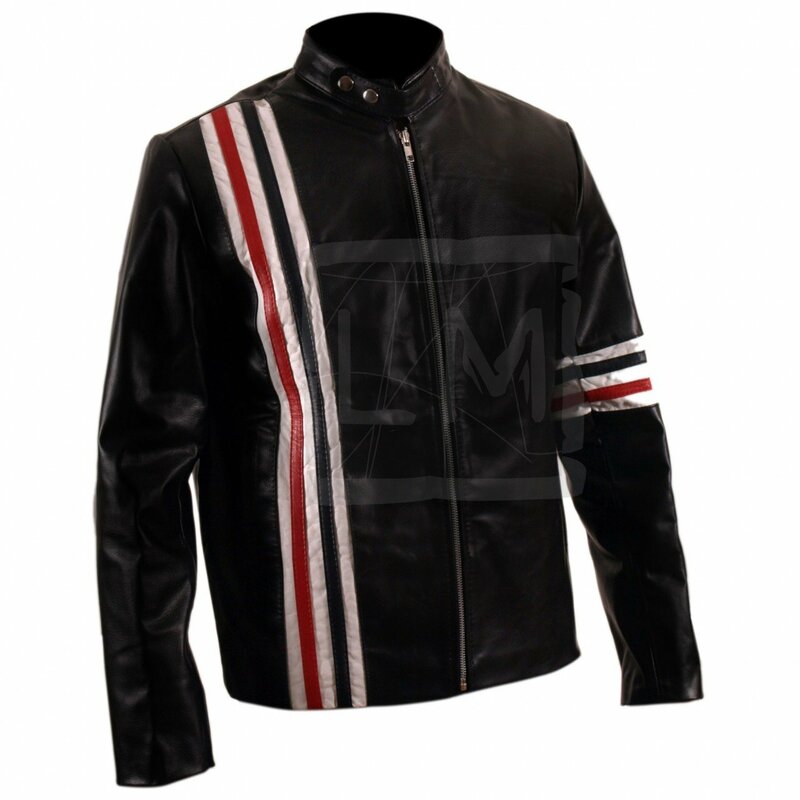 You’ll be able to cruise the freeways in style when you’re wearing this leather jacket. 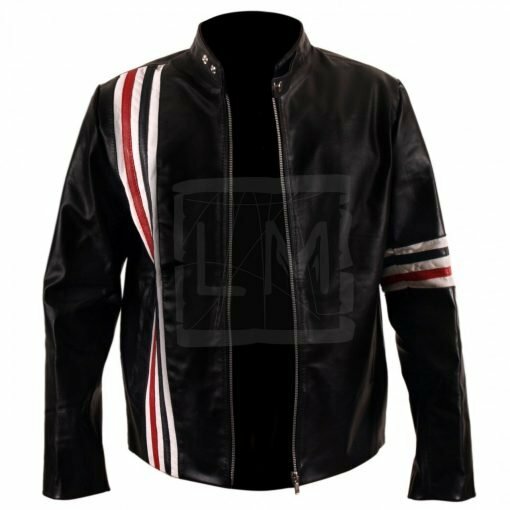 I’ve never even watched this movie but fell in love with this jacket on sight as I’d been looking for a leather jacket with a stars and stripes on the back for ages. 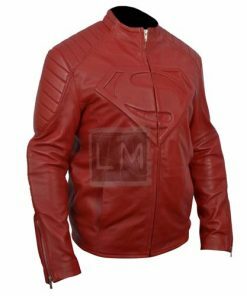 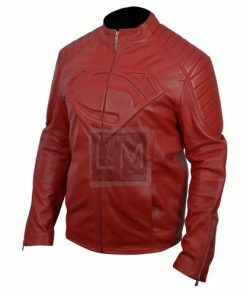 This is a great fit and really nice quality leather – I guess I should watch the movie now!